As a culmination of their work in Guelph, Susanna and Scott will create and present a site-specific event-piece to take place in Exhibition Park (on Saturday afternoon, October 13th, 2012). This yet-to-be-named event-piece will feature diverse collaborations not only with a cross-section of Guelph's scenes of professional dance and music-making, but also with numerous local amateur musicians and dancers with whom they will have worked. The collaborations among amateur performers, in particular, will emphasize creative exchanges across generations – parents and young children, grandparents and grandchildren, etc. In Exhibition Park, these exchanges will be framed within Scott's concept of 'cartographic composition' that, through its creative approach to the spatial relationships between performers and audience members, fosters an unconventional, playful, and notably family-friendly context in which to experience performance. 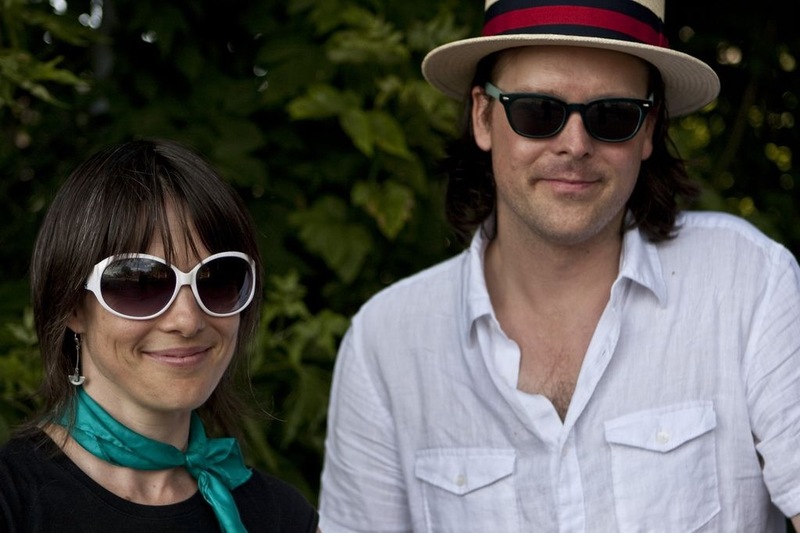 In addition, Susanna and Scott will contribute to various aspects of the 2012 Guelph Jazz Festival, Colloquium, and Nuit Blanche (September 5th-9th), including workshops and a performance with young musicians from KidsAbility, a service organization for children with physical and developmental disabilities; workshops and a performance with the inaugural Guelph Jazz Workshop; participation in the colloquium on the theme of improvisation and pedagogy; performances of original conceptions as part of a John Cage Centenary 'Musicircus'; the presentation of a new work, Basso Continuum, featuring Susanna, videographer Nicholas Loess, and double-bassist Rob Clutton; and the third annual performance of Scott's site-specific composition for the Radiant Brass Ensemble on the banks of the Speed River in Royal City Park, Riveradiant. Please check out the Improvisers-in-Residence page for biographies and up to date information about the residency. 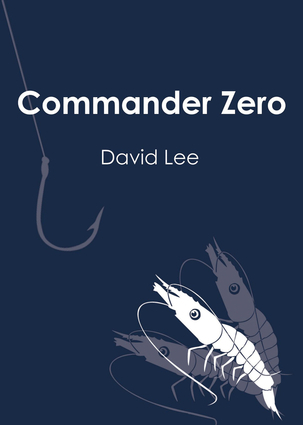 PhD student David Lee has written several books of non-fiction, and now his first novel has been published by Tightrope Books. Commander Zero was recently launched in Toronto at the Revival Bar. Mark Laver (University of Guelph) served as an ICASP Postdoctoral fellow for the 2011-2012 year and we are happy to announce that he will be serving as the ICASP Postdoctoral Fellow, based at the University of Guelph, for the 2012-2013 year. His work is published in several academic and non-academic journals, including Popular Music, Critical Studies in Improvisation, SAGAR, Discourses, The Recorder, and Canadian Musician. He completed his PhD in Ethnomusicology at the University of Toronto. His dissertation research (funded by a Joseph Armand Bombardier scholarship from the Social Science and Humanities Research Council) focused on the use of jazz in advertising. Mark is also a busy working saxophonist, and has performed with leading jazz and improvising musicians such as Lee Konitz, Phil Nimmons, NEXUS, Dong Won Kim, and Eddie Prévost. Christopher Haworth (McGill University) is a sound artist and writer from Preston, Lancashire (UK). He writes about music, emotion and subjectivity; 'presentness' and the aesthetics of immediacy; and the mediumship of the listener in post-war experimental, electronic, popular music and sound art practices. This is informed by his work as an artist, which focuses on the use of psychoacoustic phenomena as a compositional material in computer music. Works such as ‘Correlation Number One’ (2010) and ‘Vertizontal Hearing (Up & Down, I then II)’ (2012) are designed in such a way as to ‘dramatize’ the listening act, revealing voluntary and involuntary mechanisms of audition and encouraging ‘perceptual creativity’. During his ICASP postdoctoral fellowship he will be researching the social and technological aesthetics of live coding and ‘laptop as instrument’ improvisational practices, with a particular focus on new approaches to what Derek Bailey has called ‘pro-’ and ‘anti-instrument’ performance ideologies. His publications include: “Xenakisian Sound Synthesis: Its Aesthetics and Influence on ‘Computer Noise’” (in Resonances: Noise and Musics, Continuum Publishing House, 2013); “Ear as Instrument: Sound at the Limits of Audition” (in Leonardo Music Journal, Volume 22, 2013); and “Composing with Absent Sound”, (in Proceedings of the ICMC, ICMA, 2011). Outside of his academic work he makes electronic music under the moniker 'Littl Shyning Man' and has released three records on London-based electronica label, Head+Arm (Sonic 360). We are pleased to announce that ICASP has recently added a new staff member to our project team. Please join us in welcoming Mari Biehn to the Improvisation, Community, and Social Practice project. Mari has been hired as the Outreach and Development Assistant, a position shared between ICASP and the Guelph Jazz Festival. Mari will be coordinating the Improviser-in-Residence program, assisting with community engagement, and providing support for fundraising and development. She can be reached at biehnm@uoguelph.ca. Mari has a background in non-profit management, development, and administration. She is a previous board member and fund developer with the Guelph Jazz Festival and worked for several years with Alumni Affairs and Development at the University of Guelph. Mari holds a B.A.Sc. in Applied Human Nutrition and a M.Sc. in Rural Extension Studies, both from the University of Guelph. 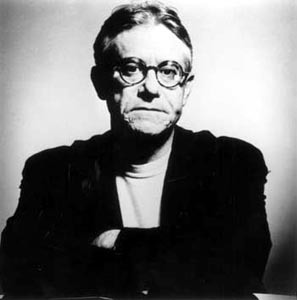 Greil Marcus (born June 19, 1945) is an American author, music journalist and cultural critic. He is notable for producing scholarly and literary essays that place rock music in a much broader framework of culture and politics than is customary in pop music journalism. Prophetic. Ancient. Flowing. Mesmerizing. Multi-layered. Rhapsodic. Lament. Freedom. Love. 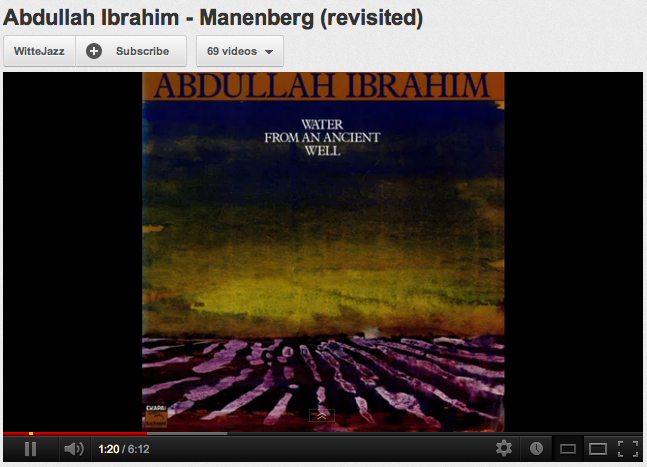 These are but a few of the words that could be used to describe the music of Abdullah Ibrahim. Amidst the hurly-burly of young student crowds, downtown celebrating the end of frosh week, thousands of community members, travelers, artists, volunteers, and casual observers, will have the opportunity to head to Guelph, Ontario, to hear the legendary South African pianist Abdullah Ibrahim perform a solo piano concert. 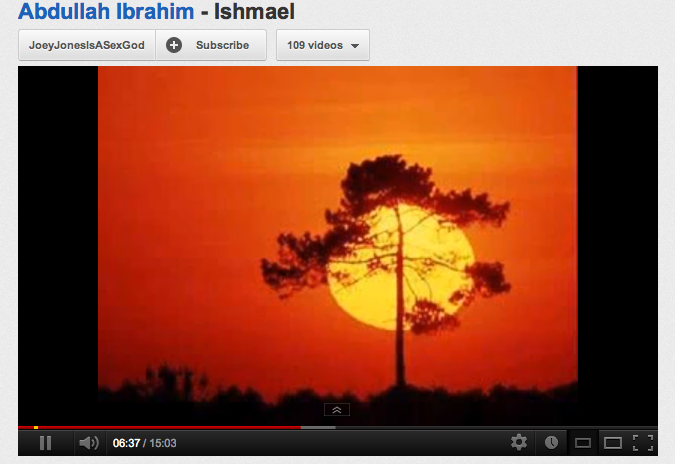 This is an extremely rare North American appearance for Ibrahim who usually performs in Africa or Europe. This is surely to be one of the highlights of the 19th annual Guelph Jazz festival. 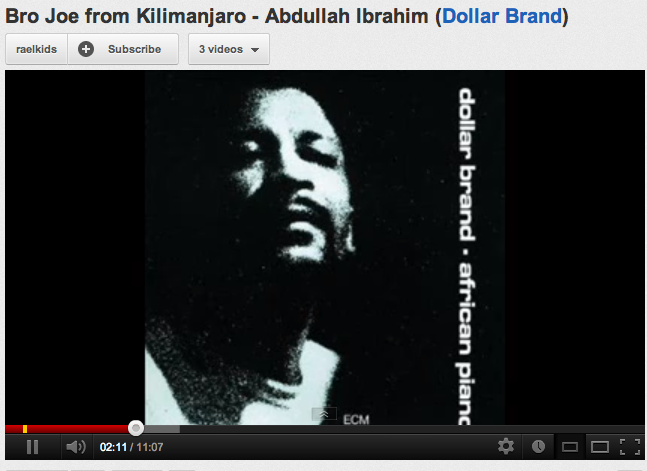 While exiled from his African homeland in South Africa, Abdullah Ibrahim (formerly known as Dollar Brand) was discovered and championed by Duke Ellington in 1962 in Zurich. Ellington insisted on producing Ibrahim’s first European recording, and since then he has left a graceful and very individual mark on the music’s history with an estimable recorded legacy, as both a soloist and in ensembles of varying sizes. 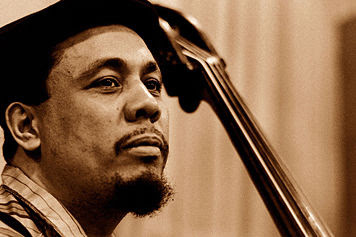 The unmistakable sound of his music is shaped and fueled by a panoply of voices and styles, from black American gospel and blues—with harmonic resonances of Ellington and Thelonious Monk—to the African rhythms (kwela) of his Cape Town roots. This sensuous blending of musical panache has left us with some of the most elegant and lyrical compositions in the entire jazz canon. water from an ancient well. The Guelph Jazz Festival and its patrons welcome this very special artist for a rare North American intimate solo piano performance at the River Run Centre on the evening of Saturday September 8th. 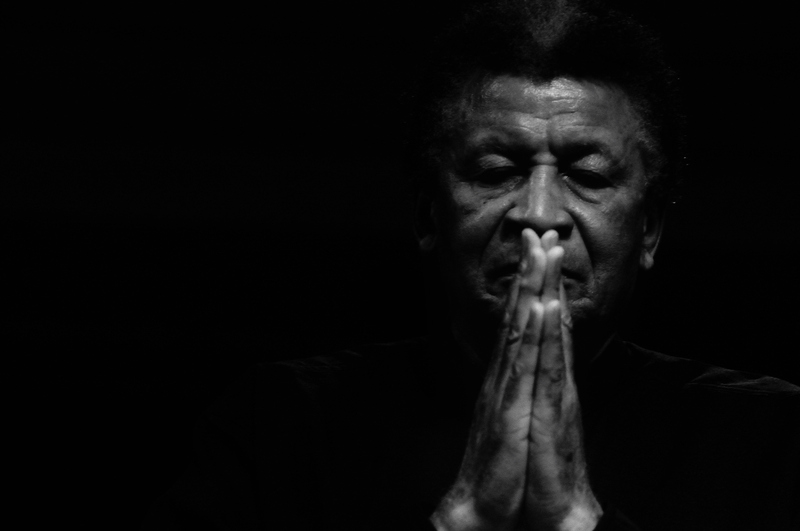 Abdullah Ibrahim has also agreed to participate in a FREE onstage interview as part of The Guelph Jazz Festival colloquium on Friday September 7th. “Amandla!” “Ngawethu!” Power to the people. 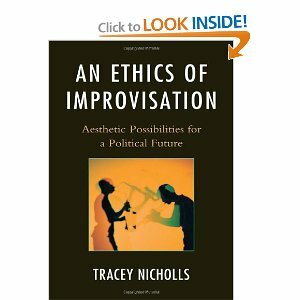 How can improvisation create spaces of praxis that operate as socially responsible and social justice-oriented practices for human life? Do theoretical analyses of improvisation's pedagogic possibilities present us with socially responsible tasks as scholars, performers, and citizens? How can improvisation inform our social polity, and how are the poetics of improvisation applicable to our social present? Investigating these and other questions, this year's colloquium explores the relationships among musical improvisation, pedagogy, social justice, and activism. Oh, and did we mention that it's all FREE? Please join us at any or all of the events, from Wednesday September 5th to Friday September 7th. Events are held at the Macdonald Stewart Art Centre, 358 Gordon Street (at College), Guelph. This colloquium is generously sponsored by the Social Sciences and Humanities Research Council of Canada (SSHRC), the Lloyd Carr-Harris Foundation, the Chawkers Foundation, the SOCAN Foundation, Canadian Heritage/Patrimoine canadien, the Macdonald Stewart Art Centre, the Office of the President, the Office of the Vice-President (Research), the Office of the Associate Vice-President (Student Affairs), the School of English and Theatre Studies, the School of Fine Art and Music, Hospitality Services, and the Central Student Association at the University of Guelph, and Universidad Veracruzana, Mexico. Tracy McMullen has accepted a position as Assistant Professor of Music at Bowdoin College in Brunswick, Maine and will begin teaching there this fall. The fee for Workshop registration is $75. Registration will be open until Friday, August 10, but space is limited, so get your name in early! For more information or to register, please contact Mark Laver at: improv@uoguelph.ca.